Renger van der Zande has been announced as the third and final driver in DragonSpeed’s Gibson-powered BR1 car as the team steps up to LMP1 this season. The Dutchman will join Henrik Hedman and Ben Hanley for the FIA World Endurance Championship ‘Super Season’. He returns to the Elton Julian-led team after last competing for it in the Prototype Challenge class of the American Le Mans Series in 2013 alongside Mirco Schultis. 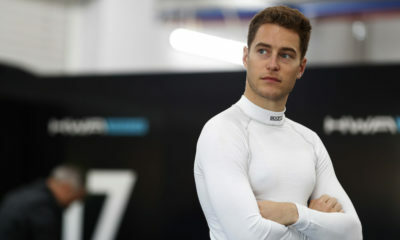 The 31-year-old will combine his LMP1 entry with his IMSA WeatherTech SportsCar Championship duties, where he drives Wayne Taylor Racing’s Cadillac DPi-V.R for the full season. There is currently only one confirmed clash between the two series in 2018, with the Mid-Ohio WeatherTech Championship race falling on the same weekend as the WEC season-opener at Spa. Van der Zande’s WeatherTech Championship commitments are expected to take priority that weekend, with DragonSpeed stating that a substitute driver will be revealed soon.